Some years ago, we in the Gallery Shop suffered through what I think of as The Great Australian Out-Of-Printing of 2007. Virtually every book on general Australian art history disappeared from the shelves as titles came to the end of their print runs, and during the time that material was being sourced, updated and written for future publications, there was a definite gap in what is usually our most popular bookshelf. Within the last year, fresh titles on Australian art have given us cause for celebration. We’ve seen the arrival of Sasha Grishin’s glorious coffee-table tome Australian art: a history and the Australia catalogue accompanying the exhibition of landscape painting at London’s Royal Academy, and coming next month is Patrick McCaughey’s Strange country: why Australian painting matters . 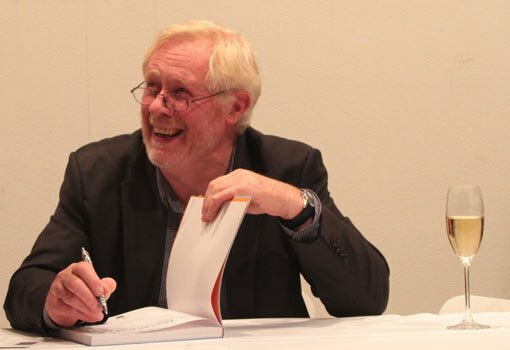 Just last week, a much-anticipated book was launched at the Gallery, written by our own Barry Pearce, emeritus curator of Australian art. 100 moments in Australian painting focuses on key works from the Gallery’s collection, featuring visitor favourites like Elioth Gruner’s Spring frost and Grace Cossington Smith’s The curve of the bridge alongside collection jewels from Jeffrey Smart, Margaret Preston and Arthur Streeton. Speaking at the launch, Barry reflected on his 33-year career at the Gallery and his personal connection to the paintings, having ‘nurtured that collection like a child’. He describes the book as ‘the contracted expression of a long accumulation of affection and purpose over so many years’, and it stands as a wonderful love letter to the Gallery’s Australian collection. While the quality of the reproductions is superb, it is Barry’s text that brings alive the stories of the paintings and the artists behind them; exploring their relationships with the Gallery, its many custodians, and the Australian public. Each of the works in the book occupies a distinct place in Australian art history. Whether it reflects a treasured facet of the national identity, caused a cultural scandal, or was, like Spring frost , originally rejected by the trustees, Barry positions each painting within the collection and spotlights it. The result is an illuminating, expert guided tour of the collection that will hold pride of place on our shelves for many years to come. 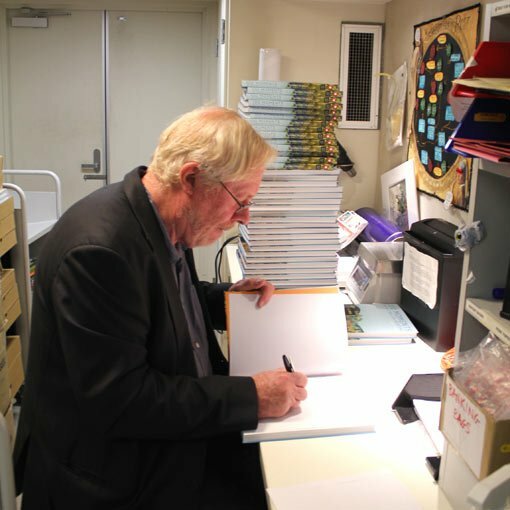 Barry very kindly agreed to sign copies of 100 moments in Australian painting for the Gallery Shop, and to his great credit he barely flinched when he was led to the glamorous confines of the shop mailroom and presented with a pen and a towering stack. These signed copies can now be purchased in-store or online, and we hope that Barry’s writing hand recovers quickly!